I've been waiting for this kit since the 1/144 version was released by Fujimi four years ago, and it was leaked that Soar Art was preparing to make the 1/72 version. 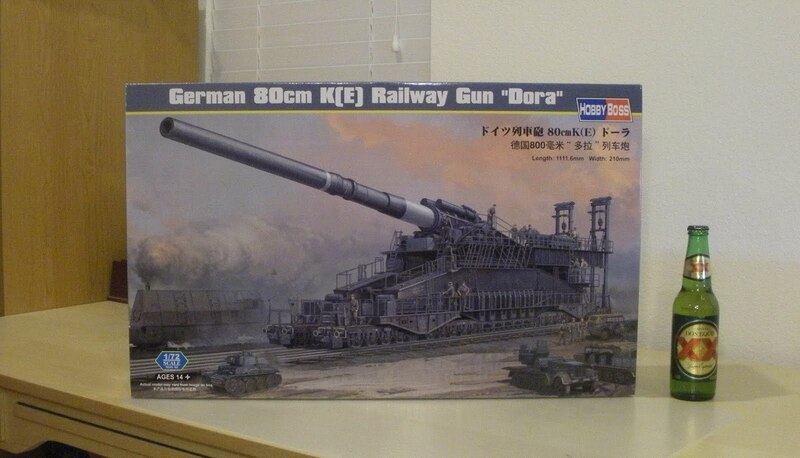 I'm going to have to finish up a lot of my other projects before I can get to this though, since I don't have any room on my workbench to assemble it. I guess it will give me time to find a cheap copy of Gerhard Taube's Deutsche Eisenbahn Geschützen in the meantime. Hopefully I'll have some time to look over the sprues on the weekend. That is a big gun!!!! The UM railway cars are worth a look,something different. Thats a BIG gun!!! !Have you had a look at the UM rail armoured cars? I haven't heard much about the UM rail kits, but I'll take a look. At one time I was considering the Armageddon armored trains, but the reviews really scared me off. The UM kits look okay,I am no expert but for a small dio they are worth a look.They have brought out a whole train engines,cars,AA you name it. 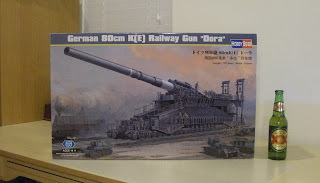 There is a review on Youtube on one,which led me to buy the one I still have to build yet...that and a million and one other kits. PS sorry for the doulde posting.